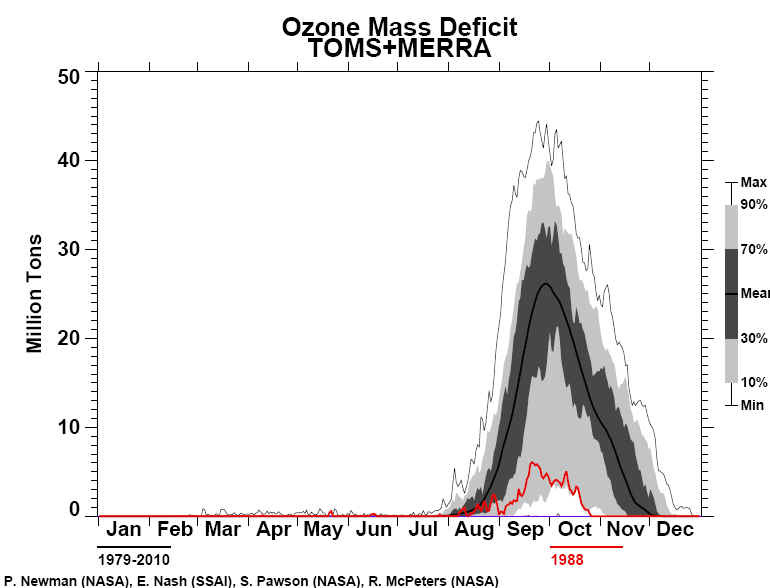 The 1988 spring Antarctic ozone depletion was observed by TOMS to be substantially smaller than in recent years. 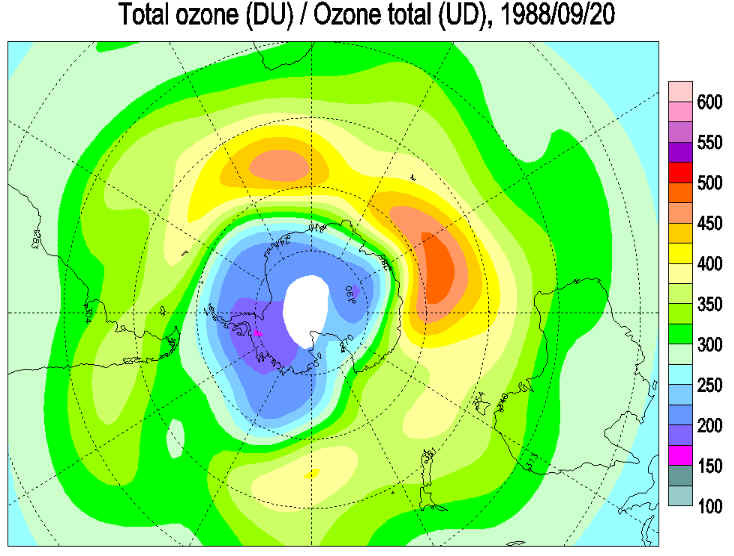 The minimum polar total ozone values declined only 15% during September 1988 compared to nearly 50% during September 1987. 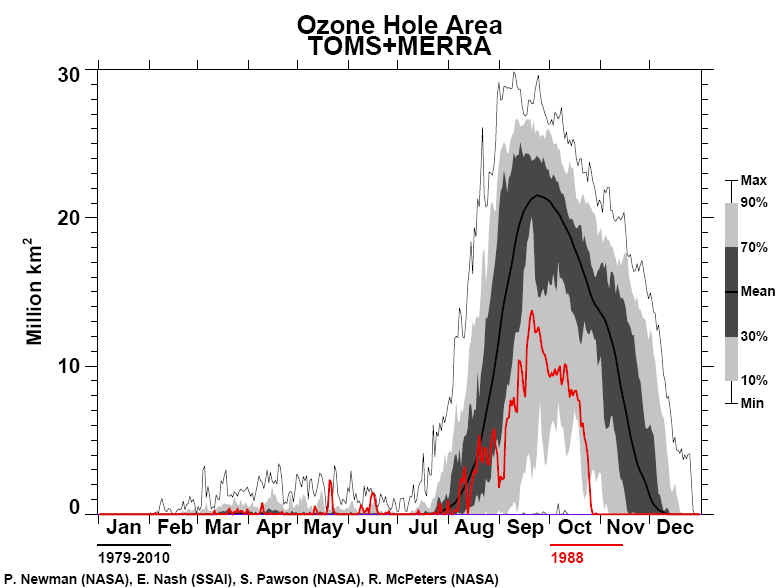 At southern midlatitudes, exceptionally high total ozone values were recorded beginning in July 1988. 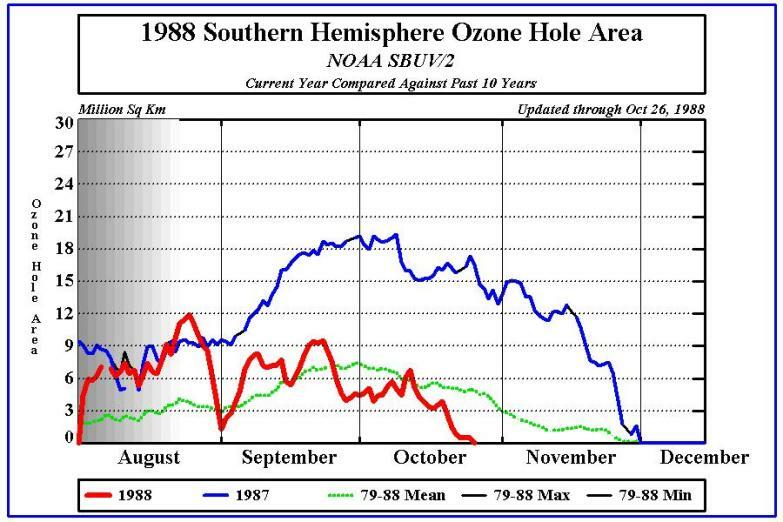 The total integrated southern hemispheric ozone increased rapidly during the Austral spring, approaching 1980 levels during October. 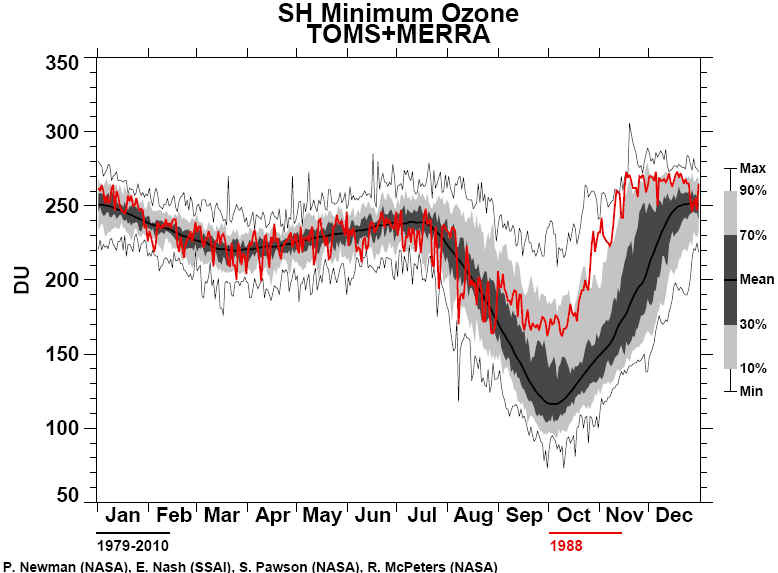 The high midlatitude total ozone values were associated with a substantial increase in eddy activity as indicated by the standard deviation in total ozone in the zonal band 30°–60°S. The standard deviation also correlates with the QBO cycling of the tropical winds. 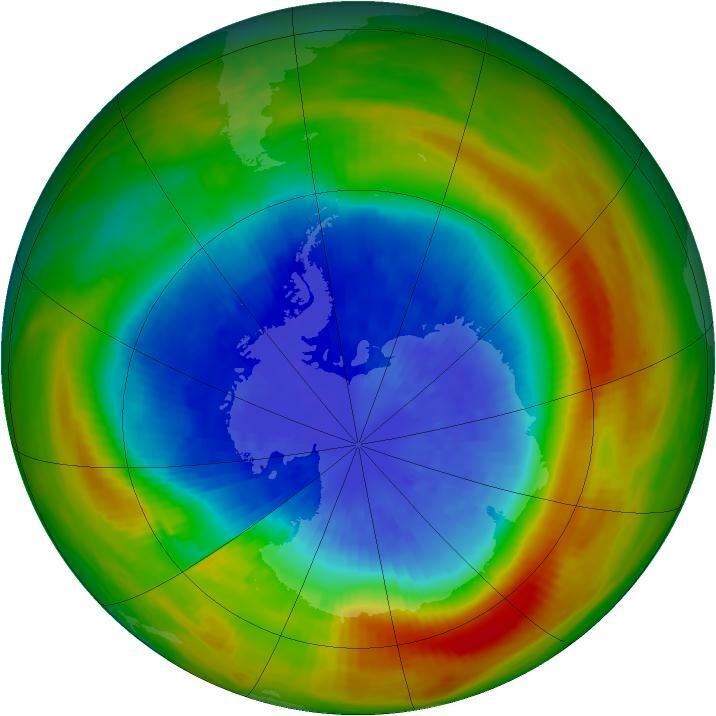 Mechanisms through which the increased midlatitude eddy activity could disrupt the formation of the Antarctic ozone hole are briefly discussed.